Become a specialist in international education. Boost your career prospects. Learn from anywhere in the world with flexible distance learning. MA International Education is a distance-learning course, allowing you to gain a very well-respected masters degree from anywhere in the world. This degree is ideal for teachers or other educational professionals working in international schools who want to develop their careers. Compared to an undergraduate course, you will find that this Masters degree requires a higher level of independent working. You'll have one-to-one support from staff throughout your degree. Your progress will be assessed with case studies, research proposals and written assignments. You will identify an intervention used in the classroom or the wider school and explore its use, impact and influence on the learning of one or more pupils. Your research outcomes will be written up in a 4,000 word report. You will carry out a small-scale piece of research, which is relevant to your professional practice and chosen in consultation with your tutor and colleagues. You will consider curricular drivers and influences such as culture, government regulation and educational philosophy to justify multiple modes of teaching and learning. You will engage with a range of management issues in international schools. You will consider issues such as staff development, retention and motivation, and the expectations and needs of pupils and parents. You will develop your professional skills and understanding to become accountable for what goes on in your classroom. You will develop the ability to use self-reflection skills to critically appraise your teaching experience, as well as that of others. You will consider aspects of curriculum development and implementation related to your chosen subject. The focus is on improving practice, but a number of different theoretical models of curriculum will be considered. You will also engage in practitioner research. You will study topics that include principles of leadership, responsibilities of leadership in an educational establishment, tackling under-performance and auditing performance. You will explore a range of issues relating to how learning takes place, how teaching is practised and what some of the major influences are on both learning and teaching. You will learn the importance of critical thinking as the basis of your study. Develop skills in self-assessment, mental flexibility, creativity interpretation and argument. You will also usually need a recognised teaching qualification. If your first language isn’t English, you must achieve a minimum IELTS score of 6.5, with 6.5 in writing, and at least 6 in Reading, Speaking and Listening. The total fee is £7,100. This degree is ideal for teachers and other people working within international education institutions who want to quickly progress their careers. It will qualify you for more senior positions in teaching and educational management in international schools. The knowledge and skills you develop will also transfer to many other sectors, particularly education policy and government. Please note that this course does not qualify you as a teacher. 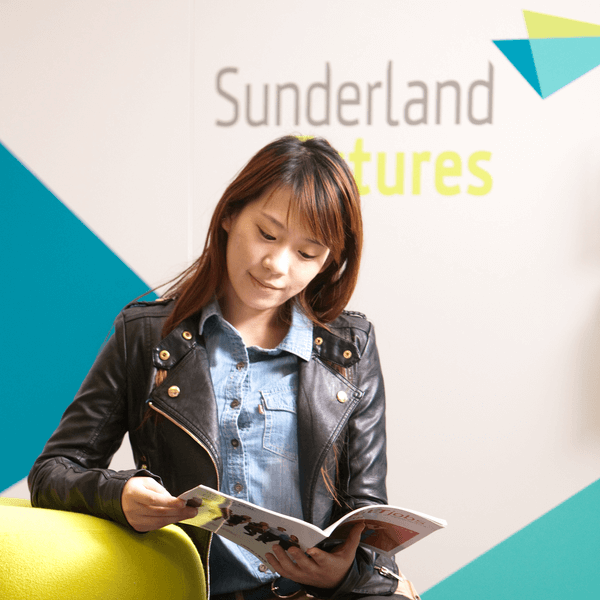 The University of Sunderland’s Centre for Pedagogy has three research themes: Affective Issues in Learning and Teaching, Pedagogy and Critical Thinking in Specific Subject Areas, and Professional Education and Development. The Centre unifies the University’s research, influences policy, and organises conferences and professorial lectures.